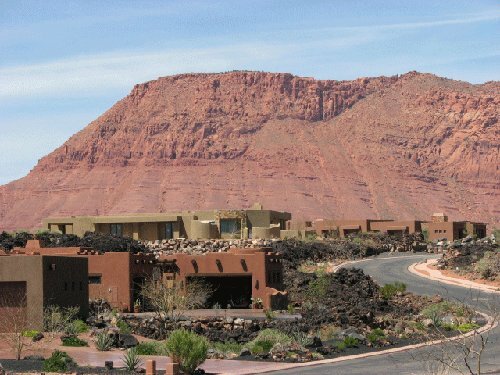 Many vacationing enthusiasts or snowbirds seeking warmer weather and nice scenery are enamored by the unique architecture of the areas Southwestern styled homes for sale in St George Utah. 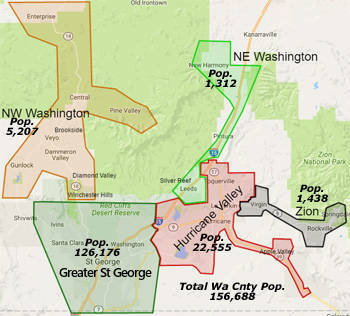 As a result, there is a significant amount of second homes in the area. 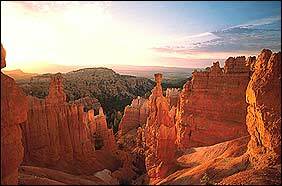 Many love the red dirt or red rock high mountain desert scenery or to be able to travel locally to places like Zion, Brian Head, Lake Powell or Bryce National Park, for easy getaways. Besides the Southwestern design there is a Mediterranean and Tuscany influence, having stucco, stone or earth-toned brick finishes or soffit accents, to include not just uniquely styled eaves but also unique arches, balconies or front porch patios. Add to that the more modern tiles or kitchens or back splashes and the ensemble contrasts quite nicely and sometimes in stunningly beautiful ways. This can be seen in both the luxury homes as well as the starter family or new retirement homes. The new airport, Dixie State University and second home owner tax base, are some factors supporting a lower cost of living for working families and individuals. 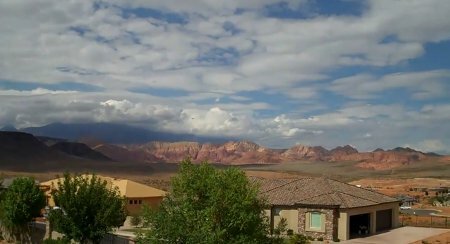 Areas like Bloomington, Southgate, Bloomington Hills, Foremaster or even Red Cliffs are already established neighborhoods, while other areas like Little Valley, Green Springs or Washington Fields are still growing and expanding with new construction. 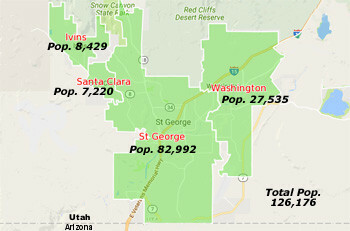 Yet all these areas contain some mixture of the working class as well as vacationers or retirees. Also, there are some exclusive 55+ communities, even if a lot of these are condo/townhouse developments. 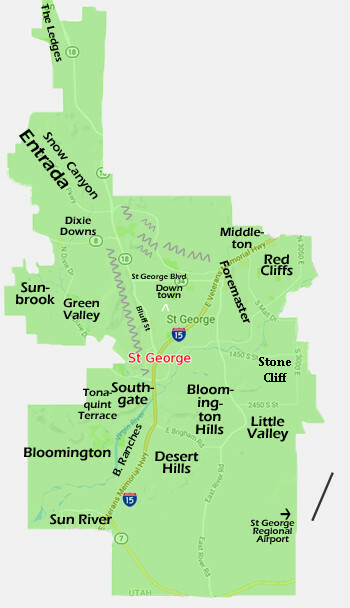 St George is built out around golf courses and contains a variety of developments containing both new and old construction types of dwellings. Even in older more established areas the beauty of the area encourages people to upkeep their older homes. As such, renovated older homes with mature landscaping often competes with the new construction homes, helping to keep prices stabilized. Older neighborhoods do allow for the more some affordable starter home opportunities and for the occasional fixer upper, although a little more scarce lately. 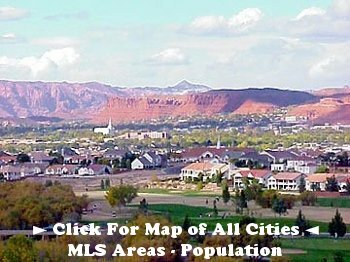 In the lower price ranges, say below 200K, available supply of homes for sale in St George Utah are running low, so one can augment a single family search with condo or townhomes. Families with strong educational values are typically glad to find schools that support good environments. Test scores in these schools are often higher than state and national averages. 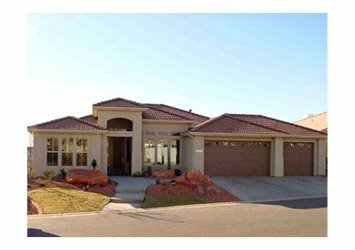 It is not difficult for people to fall in love with the homes because our homes very much follow the natural landscape in color and roof profile, naturally having less steep angled yet hipped roofing lines, making them more earthy, while still modern; less urban like. It may not be uncommon with the nicer executive homes to see a little bit of the Mediterranean theme creep in with the courtyard, maybe a fountain or smaller water feature to conserve on water, but none the less accomplish the getting back to nature feel. So, some people find they have both the shopping convenience of being close by and the less urban city like feel here. Also, many of our developments are around golf courses and so do not have the square 'cookie cutter' feel to them at all. 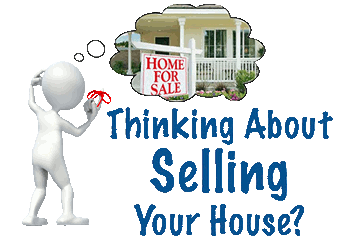 Whether you are a first-time home buyer or million plus dollar home buyer, I am equipped to advise you with information and representation you might need. Many of the homes are designed to blend in with the beautiful desert environment. 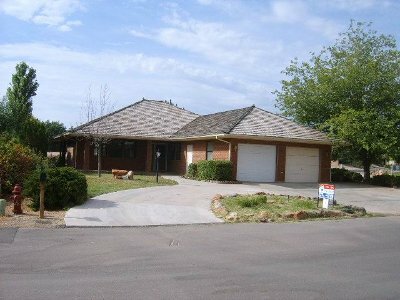 The neighborhoods and communities are well-planned, with golf courses, parks, water ways and numerous walking trails.